NEW BROWNING, PLUS WINCHESTER XPC, RUGER GP100 IN .44 SPECIAL IMPRESS AT S.H.O.T. 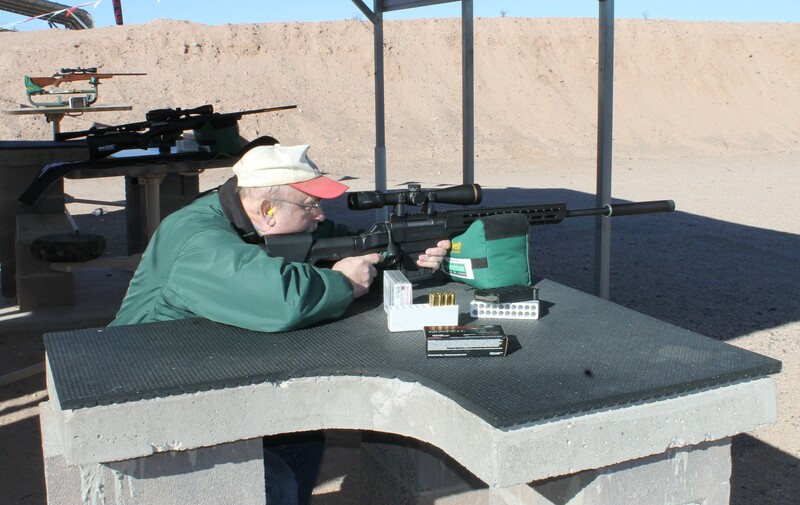 Media Day at the Range once again preceded the annual Shooting, Hunting and Outdoor Trade Show in Las Vegas, and it gave outdoor and gun writers – including yours truly – the opportunity to press a lot of triggers. One experience I won’t soon forget is the all-too-brief time I spent at the Browning display because the centerpiece of that exhibit was a brand-new entry in the X-Bolt family they call the Hell’s Canyon Long Range rifle. It’s a gem. Keep in mind, this is the 100th anniversary of the famous Browning Automatic Rifle, and the company chose the occasion to introduce a BAR Safari model, a handsome self-loader chambered in .30-06 Sprg. Only 100 of these guns were made to commemorate this centennial anniversary, and they’re likely all gone by now. So, for the people who want a rifle to shoot rather than admire in a display case, the Hell’s Canyon Long Range is just the ticket. 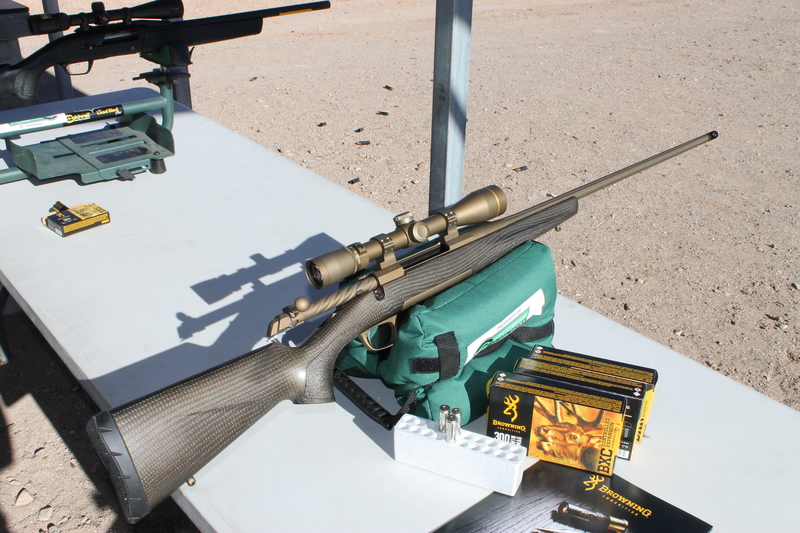 Browning chambers this rifle in 6.5 Creedmoor with a 22-inch barrel, .270 WSM and .300 WSM with a 23-inch barrel, and 26 Nosler, 7mm Rem. Mag., 28 Nosler and 300 Win. Mag. with a 26-inch barrel. MSRP on the Hell’s Canyon ranges from $1,229.99 to $1,299.99. So, what’s the big deal? Well, for starters, from a sandbag rest at 200 yards, I hit everything I shot at, including a small steel plate. Since an elk, deer, moose, goat, sheep, caribou, black or brown bear are much larger, I’d say that at double the distance, they’re all in big trouble. Translation, this rifle was dead-bang accurate, and it had been fired by at least a few other people before I got my grubby little hands on it. The sample gun I fired was chambered in .300 Win. Magnum. Thanks to modern recoil pad technology and materials, this baby is a delight to shoot. I was wearing a lightweight nylon jacket and felt recoil was no different than with my own ’06. Browning put some eye-catching cosmetics into this model. It’s got a burnt bronze Cerakote finish that is unlike anything I’ve seen before. It wears a fluted heavy sporter contour barrel, and the composite stock is finished in A-TACS AU camo with Dura-Touch armor coating. The grip has a palm swell and gripping surfaces are textured, which is important to anyone who hunts in the Pacific Northwest, Northern California, North Idaho or Western Montana, and especially in Southeast Alaska. While the other cartridges are dandies, especially the 26 and 28 Nosler, I think the .300 Win. Mag and 7mm Rem. Mag are probably the two most popular long-range big game cartridges now in common use in North America. I like that .30-caliber pill for any number of reasons, and being a handloader, if this was my rifle I’d already be tinkering at the loading bench with a good supply of Hodgdon powder and an assortment of 180- to 220-grain bullets from Nosler, Hornady, Barnes, Speer and Sierra. ANOTHER ENTRY THAT impressed the hell out of me is Ruger’s brand new GP100 in .44 Special. I’ve never owned a .44 Special, or even a .44 Magnum for that matter. I’m a fanatic for the .41 Magnum, and I have a couple of Ruger single-actions in .45 Colt. That said, when I cut loose with the GP100, which is all stainless steel with a Hogue Monogrip, adjustable rear sight, smooth double action and crisp single-action, I was impressed. The .44 Special can be handloaded to fairly stout levels for defense against bears and other predators. The fiveround GP100 no doubt will handle factory and recommended handloads, and I happily discovered that it is also a comfortable and accurate shooter. You can find several good loads in the various loading manuals. With any luck I’ll round one of these wheelguns up for a more extensive test and evaluation. With a 2.75-inch full shroud barrel, this will make a terrific trail gun for backpackers – frankly, it’s a revolver that will be right at home in the backcountry. If you’re a fisherman who hits rivers in bear country, this could be a perfect handgun because it’s just about impervious to wet conditions. I ALSO HAD the chance to shoot Winchester’s new XPC rifle, a hot little bolt-action with a tactical stock, steel receiver wearing a Permacote black finish, button-rifled free-floating barrel and a Cerakote-finished machined alloy chassis frame. The one I fired was fitted with a suppressor, and chambered in .308 Winchester. It was a kick in the pants to shoot, with a good crisp trigger and was very quiet. For hunting in areas that might have seen human encroachment, or for gun ranges that are now falling victim to suburban sprawl, suppressors might be the answer. There is legislation before Congress called the Hearing Protection Act that would remove suppressors from the red tape that currently includes registration, background check and payment of a $200 tax under the National Firearms Act of 1934. LAST BUT CERTAINLY not least, Winchester Ammunition has introduced what it calls a “ground breaking Long Beard XR” load in 20 gauge, just in time for spring turkey season. This new 3-inch magnum comes with either No. 5 or No. 6 shot and it is packaged ten rounds per box. So, what makes this stuff so hot? 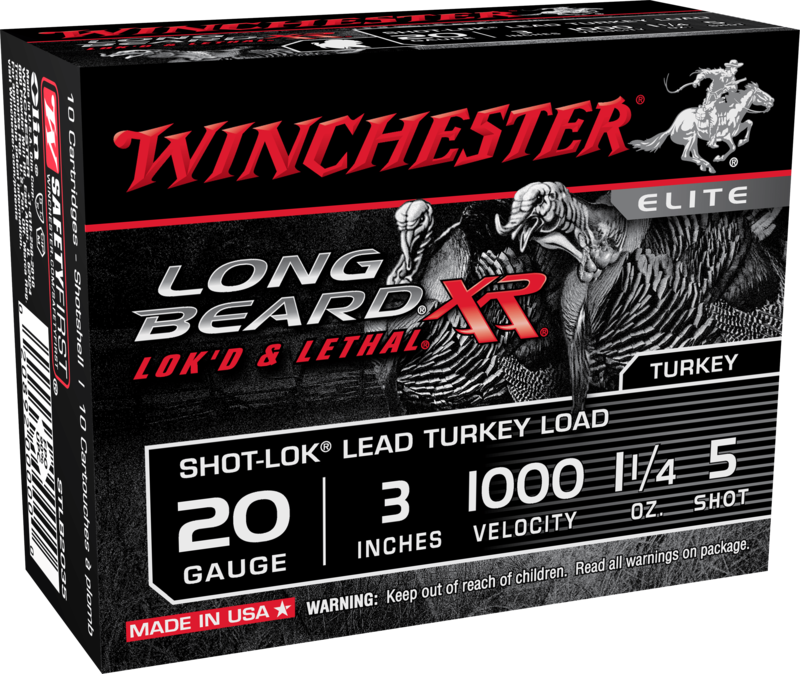 This new entry in the Long Beard XR family features Shot-Lok technology. Shot-Lok is injected into the hull with the lead shot and it then hardens, keeping pellets in place until the shot is fired. At that point, the Shot-Lok fractures into what Winchester calls a “micro-buffer” that prevents the shot from deforming, so that when it exits the muzzle, it maintains its shape to create a uniform pattern. The result, provided you do your part, is a tom in the bag. Editor’s note: Dave Workman is a longtime gun writer and a columnist for California Sportsman’s big brother magazine, Northwest Sportsman. Previous PostCalifornian Brent Ehrler Comes Up Short In ClassicNext PostRig of the Month– A simple Catfishing setup!